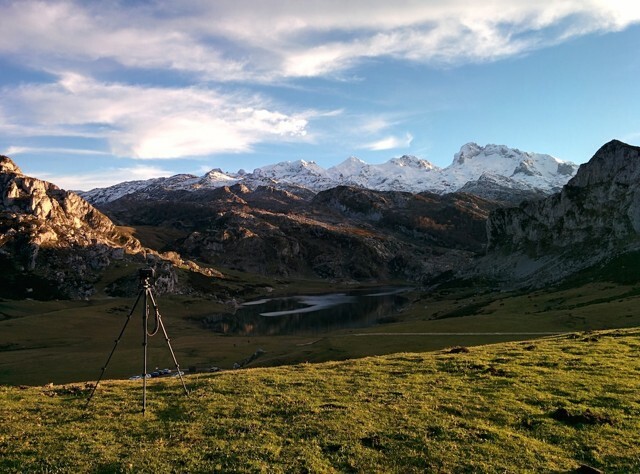 The Lakes of Covadonga (el. 1134 m.) are of two glacial lakes located on the region of Asturias, Spain. 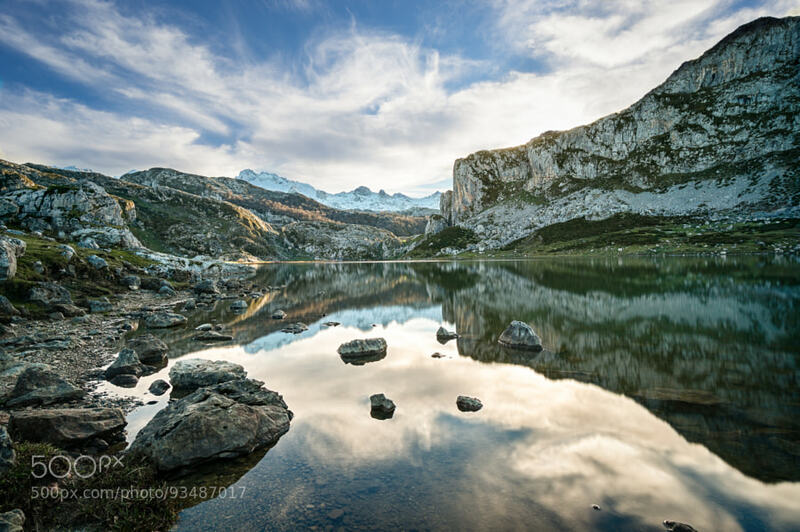 These lakes, often also called Lakes of Enol or simply Los Lagos, are Lake Enol and Lake Ercina located in the Picos de Europa range and they are the original center of the Picos de Europa National Park, created in 1918. The road ascending from Covadonga to the lakes is a popular climb in professional road bicycle racing, having been used by Vuelta a España many times in the last 25 years. Getting to the Lakes of Covadonga is pretty easy. You can get there directly by car. The last few kilometers from Covadonga itself are rather narrow and twisty but not complicated in any case. Just take it easy and even stop from time to time at one of the (few) viewpoints such as Mirador de la Reina from where you can see a beautiful sea of clouds and eventually the sea. I planned to be at the lakes some two hours before sunset. There are parking lots nearby and getting to the lakeshore itself is just a matter of a few minutes. The lakes themselves are connected by a short trail that allows you to enjoy beautiful views of any or both. I took quite a few shots from different locations but my goals was to get one with a nice reflection. I approached the lake from different angles. Composition was a bit difficult as there is a mountain on the right but none to fill and compensate on the left so I played a bit with the tripod location until I got what you see here, leaving the tripod as close and low as possible to the water as I could, right when the best moments of the sunset were starting. This is mainly a combination of three exposures made with a Haida ND3.0 filter on to smooth the water and clouds. On one hand, we have three bracketed shots at -2, 0, +2. These were merged using HDR Efex Pro 2 and keeping the effects pretty subtle. Despite that, some of the colors looked a bit overdone in the end but my main goal was to recover the texture from the rocks everywhere. The 0 exposure was developed in Lightroom 5.7 mainly opening shadows and recovering some highlights. The skies in the first case were not usable as they had too many artifacts due to ghosting and the combination of such long exposures. The sky of this one was sort of ok, but still way too blurry for my taste. I also took an additional exposure without the ND filter for the sky. The three resulting images of every aforementioned step were imported into layers in Pixelmator 3.3.1. I merged the first two ones by masking the HDR version a bit here and there to recover more natural colors on the LR version and finally merged this with the sky of the third image.